Derbyshire Fire & Rescue Service (DFRS) is urging members of the public not to make unnecessary 999 calls - particularly during periods of industrial action. DFRS has received notification from the Fire Brigades Union (FBU) that their members will take part in national industrial action for 4 hours tomorrow, Wednesday, 25th September 2013 from 12 noon until 4pm. Whilst DFRS will still be providing an emergency response service during these periods, albeit at a reduced level, it is essential that members of our communities consider the need for a fire engine before making their call. Area Manager, Kam Basi, spokesperson for DFRS, (left), said, "Whilst the industrial action is ongoing, we will still be responding to 999 calls, however we are asking people to only call 999 if they really do need a fire engine. "Our priority during times of industrial action is to respond to those priority calls where a life may be at risk or someone needs to be rescued. If we respond to non-emergency calls then those most in need of our help could be at risk. "A non-emergency call could be to someone who is locked outside their house, or where someone is stuck in a lift. 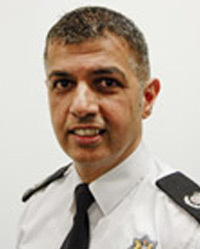 There are other agencies and organisations that can help in this instance." Area Manager Basi went on to say, "We do find ourselves in an unusual situation where we must prioritise our calls for those who are most in need of our assistance. However, I must emphasise that you should still call 999 in an emergency, so that an experienced control room operator can deal with your situation. You must not try to call your local fire station directly." 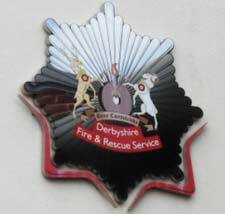 For further fire safety advice/information and up to date information regarding proposed strike dates, visit www.derbys-fire.gov.uk or follow them on Twitter (@DerbyshireFRS) or like them on Facebook.